Use this awesome baseball uniform designer to promote your latest design for custom baseball jerseys in a versatile and stunning way! Use a video mockup now and amaze your audience immediately, the menu on the right side of the page will let you choose this jersey color. After that, all you have to do is drag-and-drop your jpeg or png image file over the upload button on the left. Easy, right? Try another Baseball Jersey Designer! 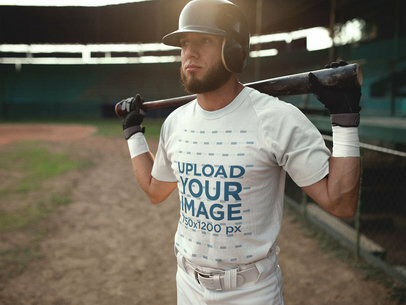 Promote your latest personalized baseball jerseys with Placeit! This baseball uniform builder is a great option if you are looking to showcase your ideas in a beautiful and photorealistic way, start using it to show your custom baseball shirts in a cool way. The menu on the right side of the page will let you change this batter's clothes' colors. Then drag-and-drop your design over the upload button on the left side of the page and remove its black or white background too. Try another Baseball Uniform Designer! Do you have any feedback or is there any other type of jersey do you want to see? Email us! Use this beautiful baseball jersey maker featuring a custom baseball jersey lying on a concrete surface to promote your latest designs for custom baseball jerseys in a really simple way! Amaze your audience with a stunningly realistic visual asset! The menu on the right side of the page will let you choose the jersey color, then drag-and-drop your jpeg or png image file over the upload button on the left. Try another Custom Baseball Jerseys Builder! Take a look at this awesome baseball uniform builder by Placeit! You can design your own custom baseball jerseys now, the menu on the right will let you choose this young man's baseball t-shirt colors. Then drag-and-drop a jpeg or png image file over the button on the left, don't forget to remove a black or white background from it too. 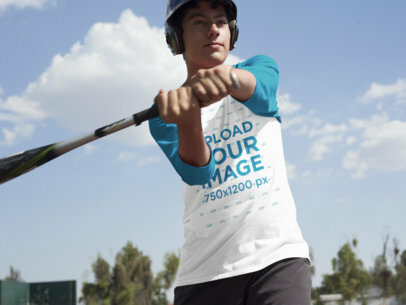 Use Placeit's Baseball t-shirt maker and rock the market! Try another Baseball T-Shirt Mockup! Do you have any feedback or is there any other type of jersey do you want to see? Email us! 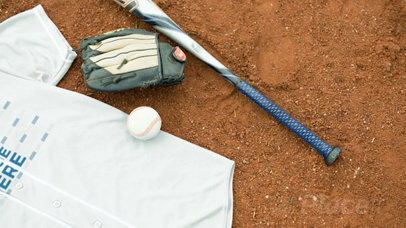 Have a look at this visual asset featuring a baseball jersey lying on a dirt field next to a baseball bat, a ball, and a glove. You can use this visual asset to showcase your latest designs in a beautiful and photorealistic way! The menu on the right side of the page will let you choose a color for this awesome jersey, then just drag-and-drop your jpeg or png image file over the interface. Easy, right? Don't forget to use our tool to Create a Baseball Logo! 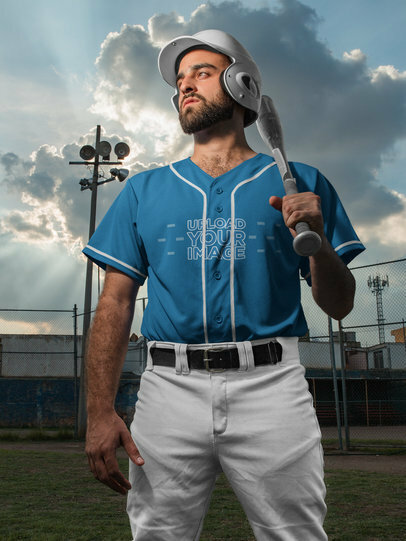 Take a look at this gorgeous visual featuring a baseball jersey on a hanger while out at the field, you can edit this image to promote your latest design for custom baseball jerseys in a beautiful and amazing way. The menu on the right side of the page will let you choose a color for the jersey, then drag-and-drop your jpeg or png image file over the interface. Easy, wasn't it? Try another Baseball Jersey Maker! 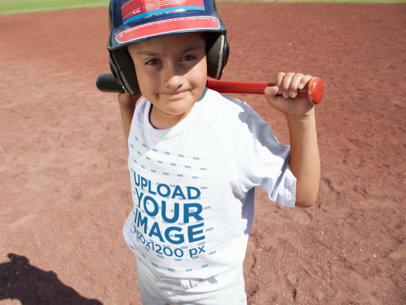 Looking for a way to promote your latest idea for youth baseball uniforms? Use Placeit! 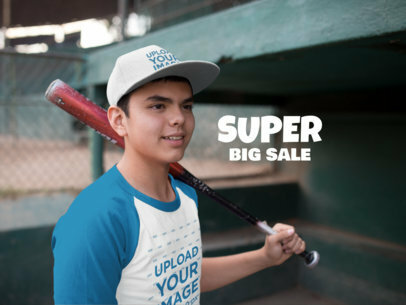 This baseball t-shirt mockup features a happy kid posing with his bat while outdoors, he has the helmet and an awesome baseball uniform that you can customize in your own way. Choose its colors with the menu on the right, then drag-and-drop your design image file over the upload button to merge it with his tee, it'll take just a few seconds! Try another Baseball Uniform Builder here! Do you have any feedback or is there any other type of jersey do you want to see? Email us! 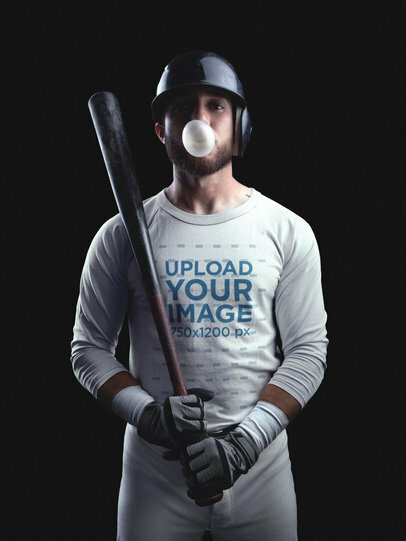 Start showcasing your latest custom baseball shirts to your audience in a professional and visually appealing way with Placeit, this custom baseball jerseys builder is a great choice for you to promote your personalized baseball jerseys now! The menu on the right will let you choose this batter's clothes colors, then upload a design for his jersey by dragging and dropping your jpeg or png image file over the button on the left. Don't forget to remove a black or white background from your design with the same menu! Try another Baseball Jersey Maker here! Do you have any feedback or is there any other type of jersey do you want to see? Email us! Start building your custom baseball jerseys with Placeit! Check out this awesome baseball uniform builder now, it's featuring a batter from the back about to do a home run. 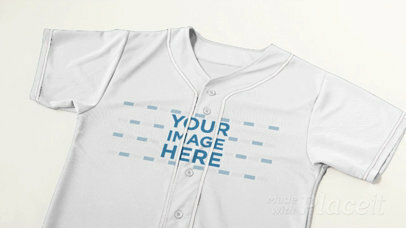 You can use this beautiful mockup to create your own design for your custom baseball shirts. Start now! The menu on the right will let you choose the colors of his clothes, then use the menu on the left to upload a design image and to remove its black or white background too. Try another Baseball Uniform Builder! Do you have any feedback or is there any other type of jersey do you want to see? Email us! Use this gorgeous baseball uniform designer to promote your latest design for custom baseball uniforms in a beautiful and photorealistic way. Start now! Use the menu on the right side of the page to choose this man's uniform colors, then drag-and-drop your jpeg or png image file over the upload button on the left. Easy, right? Try another Baseball Jersey Maker! Do you have any feedback or is there any other type of jersey do you want to see? Email us! Use this gorgeous baseball uniform designer to showcase your latest design for custom baseball uniforms in a beautiful and photorealistic way! Use the menu on the right to choose this man's uniform colors, then upload your design with the upload button on the left. Easy, right? A custom baseball jersey builder like this is a must in your arsenal. Try another Baseball Jersey Maker! Have you tried our baseball logo maker? If not, what are you waiting for?! Do you have any feedback or is there any other type of jersey do you want to see? Email us! Start using this custom baseball jerseys builder to promote your latest design for custom baseball uniforms in a really simple and visually appealing way! Use the menu on the right side of the page to choose this man's uniform colors, then drag-and-drop your jpeg or png image file over the upload button on the left. Using a baseball jersey maker was never so easy! Try another Baseball Jersey Designer! Do you have any feedback or is there any other type of jersey do you want to see? Email us! Use this awesome baseball uniform designer to showcase your latest design for custom baseball jerseys in a beautiful and realisitc way! Use visually appealing images to ensure that your design is shown in a stunning way. The menu on the right side of the page will let you choose this man's uniform colors, then drag-and-drop your jpeg or png image file over the upload button on the left. That's it! Try another Baseball Jersey Maker! Do you have any feedback or is there any other type of jersey do you want to see? Email us! Use this awesome custom baseball jerseys builder to promote your latest design for custom baseball jerseys in a simple and photorealistic way! Use the menu on the right side of the page to choose a color for this man's uniform, then drag-and-drop your jpeg or png image file over the upload button on the left. Easy, isn't it? Try another Baseball Jersey Maker! Do you have any feedback or is there any other type of jersey do you want to see? Email us! Promote your latest custom baseball uniforms in a beautiful and photorealistic way with Placeit's custom baseball jersey builder, it's super easy! The menu on the right side of the page will let you choose this man's uniform colors, then upload your design with the upload button on the left side of the page. Easy, right? Try another Baseball Jersey Maker! Do you have any feedback or is there any other type of jersey do you want to see? Email us! 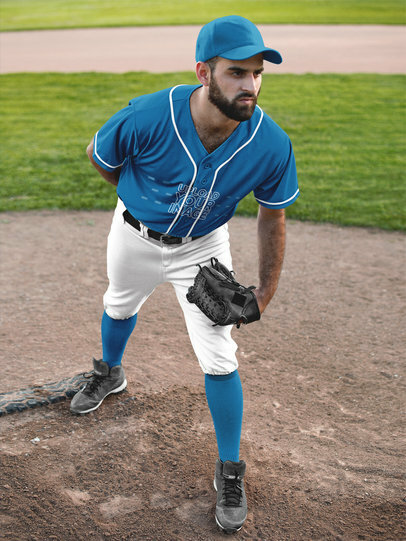 Use this baseball uniform designer featuring a man pitching at the field and promote your latest designs for custom baseball jerseys in an amazing way! Use the menu on the right side of the page to choose this man's uniform colors, then drag-and-drop your jpeg or png image file over the upload button to the left. Easy, isn't it? Try another Custom Baseball Jerseys Builder! Do you have any feedback or is there any other type of jersey do you want to see? Email us! This baseball uniform designer is a great choice for you to start showcasing your latest designs for custom baseball jerseys in a really professional and easy way! Use the menu on the right side of the page to choose a color for the background and a color for the jerseys, then upload your design using the menu on the left. Easy, isn't it? Try another Baseball Jersey Maker! Do you have any feedback or is there any other type of jersey do you want to see? Email us! 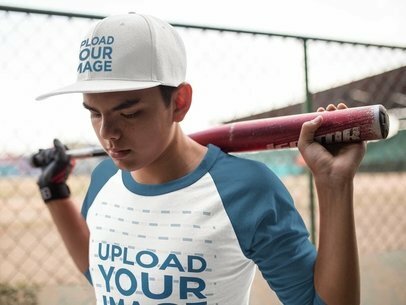 Take a look at this gorgeous visual featuring a boy holding a bat on his shoulder while wearing a baseball hat and a raglan tee. This beautiful visual is a great choice if you are looking to promote your latest design in an easy and photorealistic way, start now! The menu on the right side of the page will let you choose this guy's clothes colors, then drag-and-drop your jpeg or png image file over the upload button on the left. Try another Hat Mockup! 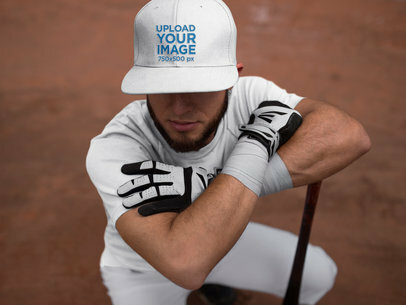 Looking for a way to promote your latest designs for baseball hats in a creative and photorealistic way? Use Placeit! This image is a great choice to do that, use the menu on the right side of the page to choose this guy's clothes colors, then upload your designs for his hat and for his t-shirt with the upload buttons on the left side of the page. It's super easy! Try another Hat Mockup! Take a look at this awesome mockup by Placeit, it features a batter squatting while wearing a baseball hat and a baseball uniform. 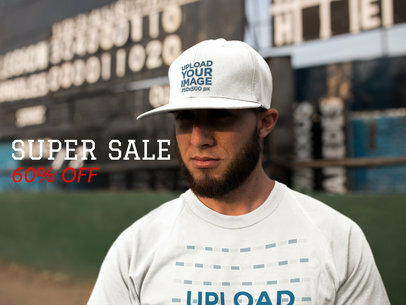 You can customize this image to promote your latest design for a baseball hat in a photorealistic and cool way. Start now, the menu on the right side of the page will let you choose this guy's uniform colors. Then upload your designs with the upload button on the left side of the page. Easy, right? Try another Hat Mockup! 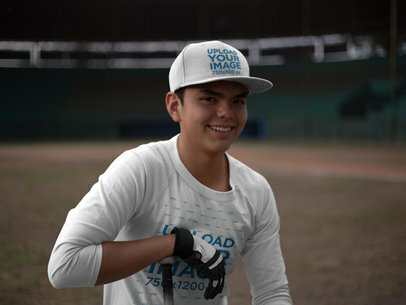 Take a look at this awesome mockup featuring a smiling teenager boy wearing a raglan t-shirt and a baseball hat while at a baseball field, he's the hitter! You can edit this image to promote your latest designs for baseball hat and t-shirts in a beautiful and photorealistic way now. Use the menu on the right side of the page to choose the colors of his clothes, then drag-and-drop your jpeg or png image file over the upload button to the left. Easy, right? Try another Baseball Hat Mockup! 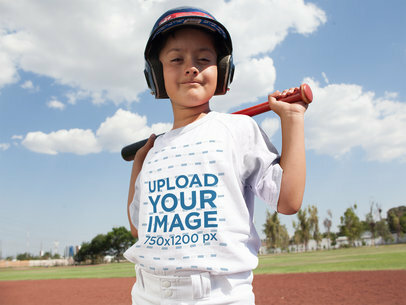 Start showcasing your latest designs for youth baseball uniforms with Placeit! Use this baseball uniform builder to promote your ideas in a photorealistic and cool way, the menu on the right will let you choose the colors for this kid's uniform. Use the upload button on the left side of the page to upload your design image file, we will merge it automatically with his jersey! Try another Baseball Uniform Builder! Do you have any feedback or is there any other type of jersey do you want to see? Email us! Take a look at this awesome baseball uniform builder, it's a gorgeous visual that you can use if you are looking to promote your latest design in a photorealistic and original way. Start now, the menu on the right will let you choose this kid's uniform colors, then use the upload button on the left side of the page to put your design on his jersey. Easy, right? 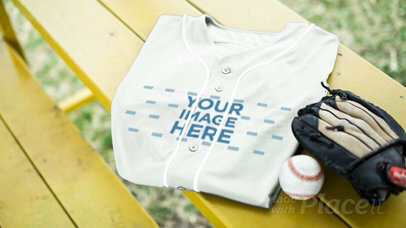 Start showcasing your youth baseball uniforms in a cool way! Try another Baseball Uniform Designer! Learn everything you need to know about fantasy baseball on our blog. Do you have any feedback or is there any other type of jersey do you want to see? Email us! 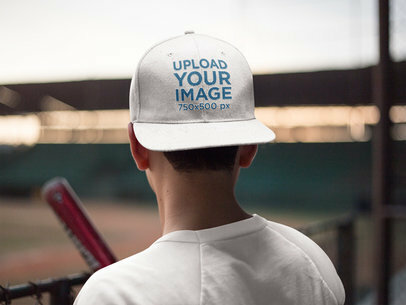 Display your latest designs for a baseball hat with Placeit! 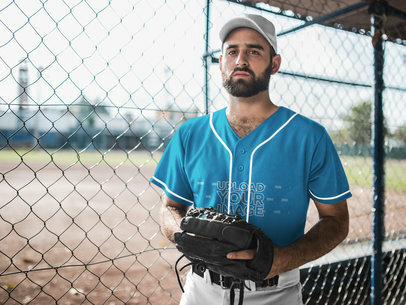 This awesome mockup showcases a bearded man wearing a baseball hat while near a board, he's also wearing a raglan tee that can be partially seen. Choose his clothes' colors with the menu on the right, then drag-and-drop your designs over the upload buttons on the left. Don't forget to edit the text using the options above the upload button! Try another Facebook Ad! 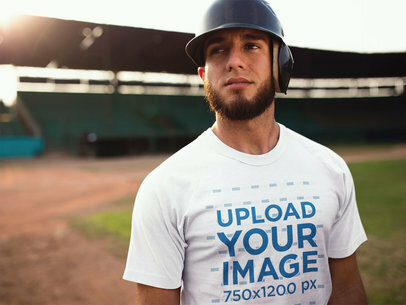 Showcase your latest design for a baseball hat and a raglan t-shirt with Placeit! This mockup will let you do that, use the menu on the right to choose this kid's clothes' colors. Then upload your design image file using the upload button on the left side of the page, don't forget to edit the text with the same menu! Use Placeit and make your revenue grow! Try another Facebook Ad! 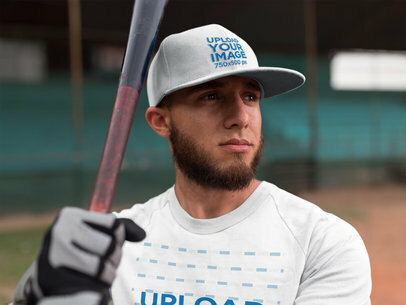 Showcase your latest design for a baseball hat with Placeit! 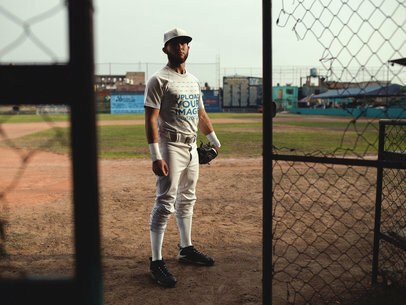 This awesome mockup features a back shot of a batter wearing a snapback hat and a raglan t-shirt while looking to the baseball field. Promote your designs now, start choosing this batter's clothes' colors with the menu on the right side of the page. Don't forget to drag-and-drop your image design file over the upload button on the left. Try another Hat Mockup! 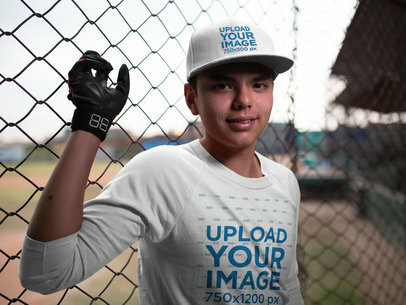 Take a look at this awesome baseball uniform builder by Placeit, it's featuring a teenager wearing a raglan t-shirt and a baseball hat while at the baseball field. You can use this awesome baseball jersey maker to promote your latest designs to your audience in a beautiful and photorealistic way. Start now, the menu on the right will let you choose a color for his clothes, then drag-and-drop your design image file over the upload button on the left. Edit the text with the menu on the left too! Try another Facebook Ad! 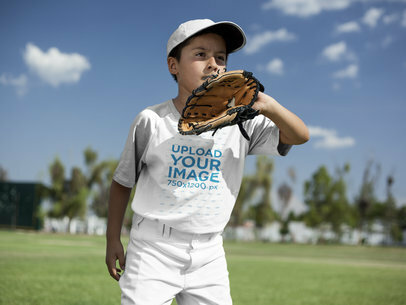 Promote your designs for youth baseball uniforms in a beautiful and professional way with Placeit! Start now, the menu on the right will let you choose this teen boy's clothes' colors, then drag-and-drop your jpeg or png image file over the upload button on the left side of the page. Use Placeit now and showcase your custom baseball jerseys in a better way! Try another Baseball T-Shirt Mockup! Do you have any feedback or is there any other type of jersey do you want to see? Email us! 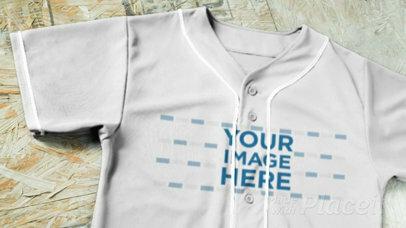 Promote your latest custom baseball jerseys with Placeit! This awesome baseball uniform builder is a great choice if you are looking to promote your latest design in a beautiful and photorealistic way. Start now, the menu on the right will let you choose a color for this boy's clothes. 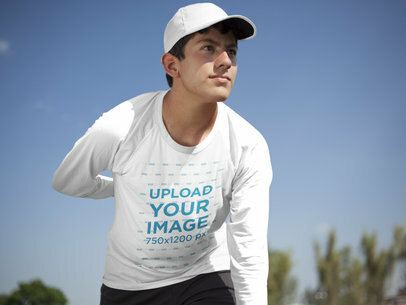 Use the menu on the left to upload your image file, it'll be merged in just seconds with the tee. Try another Baseball Jersey Maker! Do you have any feedback or is there any other type of jersey do you want to see? Email us! Take a look at this awesome baseball uniform builder by Placeit! 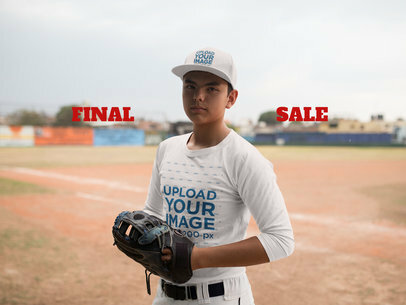 You can see a teenager pitcher outdoors, promote your latest youth baseball uniforms with this image in a more photorealistic way! Use the menu on the right side of the page to choose his clothes' colors, then drag-and-drop your jpeg or png image file over the upload button on the left. 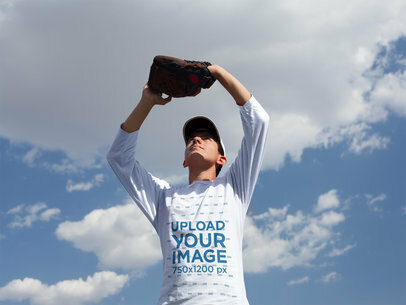 Start using Placeit to showcase your custom baseball jerseys in a smarter way! Try another Baseball Uniform Builder! Do you have any feedback or is there any other type of jersey do you want to see? Email us! Start promoting your latest design for a raglan round neck tee with a photorealistic and beautiful visual from Placeit! This youth baseball uniforms builder is a great choice to do that. Start now, the menu on the right will let you choose a color for his clothes, then drag-and-drop your jpeg or png image file over the upload button on the left. Start using this baseball uniform builder and show your designs in a more awesome way! Try another Baseball Uniform Maker! Do you have any feedback or is there any other type of jersey do you want to see? Email us! 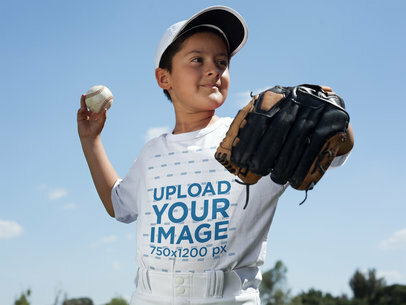 Start promoting your youth baseball uniforms with Placeit! This baseball uniform builder is a great option if you are looking to promote your latest design in a photorealistic and awesome way. Start now, the menu on the right will let you choose this boy's clothes' colors. Then drag-and-drop your design image file over the upload button on the left. 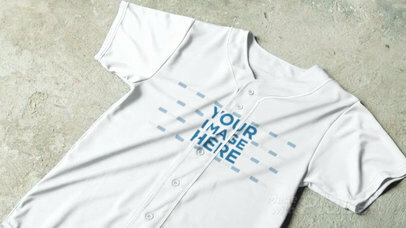 Promote your personalized baseball jerseys in a great way! Try another Custom Baseball Jerseys Builder! Do you have any feedback or is there any other type of jersey do you want to see? Email us! 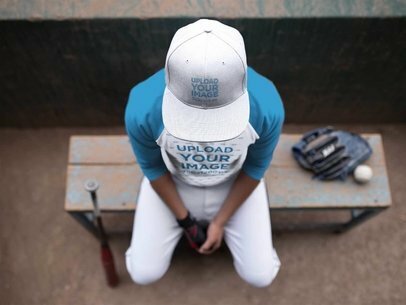 Showcase your most awesome custom baseball hats with Placeit! 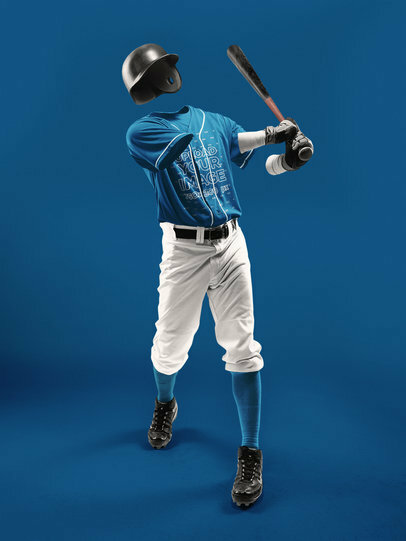 This youth baseball uniforms builder is a great choice for you to promote your designs in a cool and photorealistic way. Start now, the menu on the right will let you choose the colors for his clothes, then drag-and-drop your designs over each upload button to upload them to his hat and raglan tee. Don't forget to customize the text on the image with the menu above the upload buttons too! Try another Hat Mockup! Looking to improve baseball practice drills? Check this must-read guide on baseball apps for coaches. Looking for a way to showcase your latest youth baseball uniforms in a simple and photorealistic way? 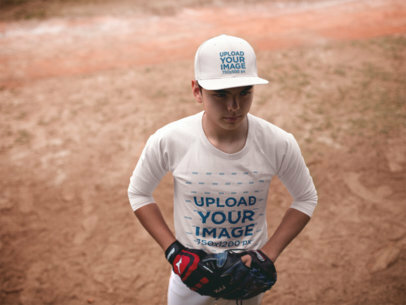 You've found it, Placeit's got an awesome baseball uniform builder for you to showcase your latest personalized baseball jerseys in a photorealistic and awesome way. Start now, the menu on the right will let you choose a color for each part of his clothes, then drag-and-drop your design image file over the upload button on the left side of the page. Easy, right? Try another Baseball Jersey Maker! Do you have any feedback or is there any other type of jersey do you want to see? Email us! 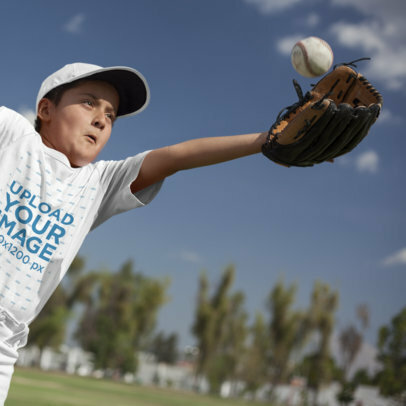 Start customizing your own youth baseball uniforms with Placeit! 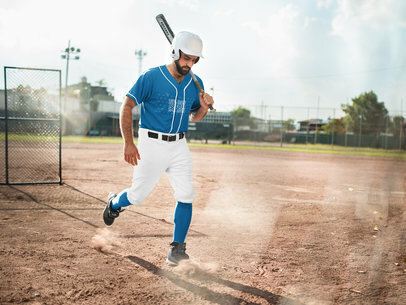 This image features a kid playing as a batter while in the baseball field outdoors, he's wearing a helmet and his baseball uniform. 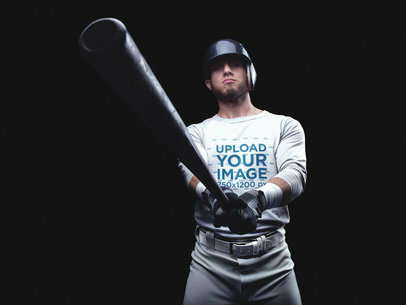 Choose this image to promote your latest design with a baseball uniform builder! All you have to do is choose his clothes' colors with the menu on the right, then drag-and-drop a jpeg or png image file over the upload button on the left side of the page. Try another Custom Baseball Jerseys Builder here! Do you feel you can get better at coaching? Check this Best Baseball Apps Guide for Coaches! Do you have any feedback or is there any other type of jersey do you want to see? Email us! 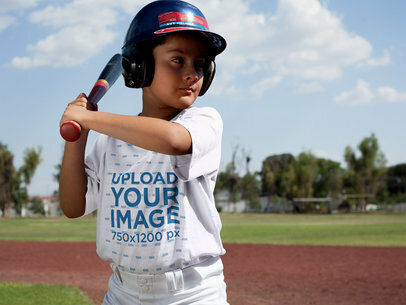 Showcase your latest design for your youth baseball uniforms with Placeit's baseball uniform designer! You just have to choose his uniform's colors with the menu on the right, then upload your design by dragging and dropping a jpeg or png image file over the upload button on the left side of the page. Easy, right? This image is an excellent choice to promote your custom baseball jerseys online. Try another Baseball Uniform Builder here! Do you have any feedback or is there any other type of jersey do you want to see? Email us! 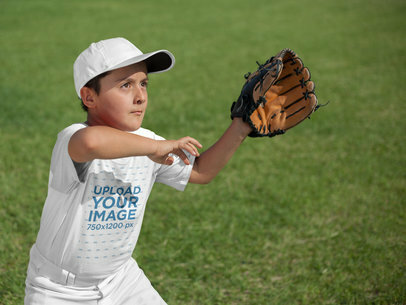 Showcase your latest youth baseball uniforms with Placeit! This baseball uniform designer is a great choice to do that, you can customize this kid's uniform colors with the menu on the right. Don't forget to upload your design by dragging and dropping your jpeg or png image file over the upload button on the left side of the page. 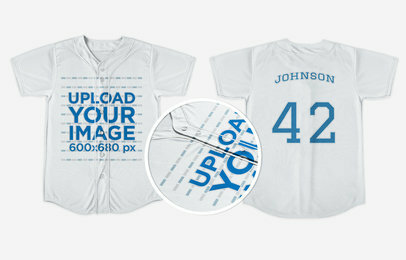 Promote your custom baseball jerseys with style! Try another Baseball Uniform Builder here! Do you have any feedback or is there any other type of jersey do you want to see? Email us! 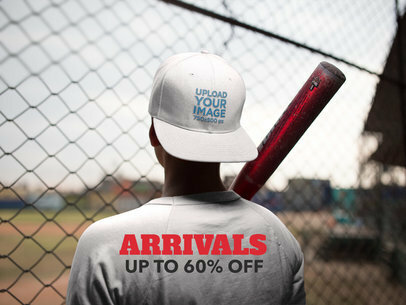 Showcase your latest design for a baseball hat and a raglan t-shirt with Placeit! Do it in a beautiful and photorealistic way using this awesome stage, all you have to do is choose this batter's clothes colors with the menu on the right, then drag-and-drop your designs over the upload buttons on the left. Don't forget to remove a white or black background from then with the other button below! Try another Hat Mockup! 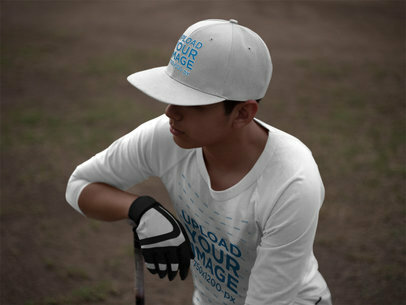 Showcase your latest design for a baseball hat and for a raglan t-shirt with Placeit! This mockup features a muscular man wearing a baseball hat and a raglan t-shirt while looking at his glove against a board. Use Placeit now and make your revenue grow! 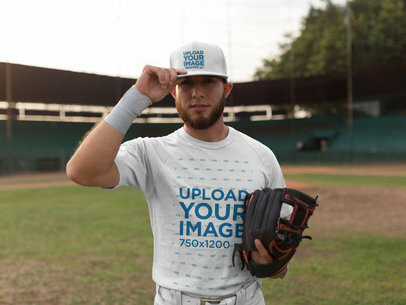 Showcase your latest design for a baseball hat and t-shirt with Placeit! This awesome mockup features a baseball batter wearing a raglan round neck tshirt and a dad hat while in the field. You can change the colors of his entire clothing and upload a different image for the hat and for the tee. Start now, the menus on the right and on the left will let you do that. Use Placeit and make your income grow! Try another Hat Mockup! 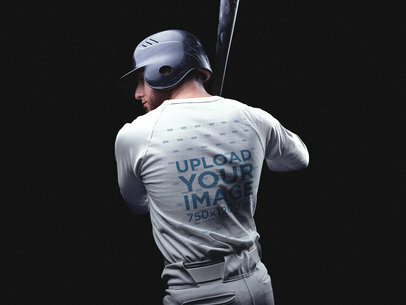 Start showcasing your latest custom baseball jerseys with Placeit! This custom baseball jerseys builder is a great choice if you are looking to promote your latest personalized baseball jerseys in a photorealistic way. Start now! The menu on the right will let you choose his uniform's colors, the one on the left will let you upload a design and remove its black or white background too. Start now and make your revenue grow! 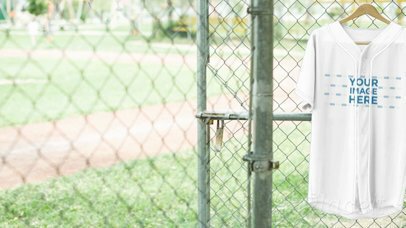 Try another Baseball Jersey Mockup!